A new update for Grids Pro is in the asset store. We added a new Simple Grid example where you can find some of the new ways to create grids by code that are way simpler than before. You can still use the old way if you need more control though. You can find this example in Examples/SimpleGrids/. 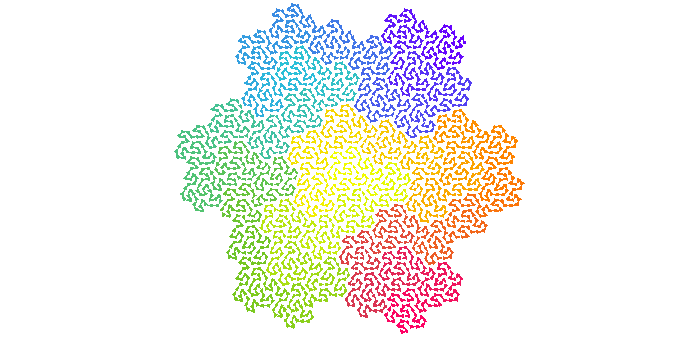 We added a new Space Filling Curves example, check it out is pretty cool. You can find this example in Examples/SpaceFillingCurves/. We added a new Basic Fat Hex example to illustrate how this shape can be achieved by code. You can find this example in Examples/BasicCode/FatHex/. We added the option to have random offsets, specific offsets or no offset at all in the HeightSpaceMap Node for Space Maps. We added a few swapping axes methods we were missing and that were requested by users. The 3D Shapes example has been fixed. The Triangular Grid example has been fixed. The Animation example has been fixed. The Prims Algorithm example has been fixed. The Complex Shape example has been fixed. The Rect, RectTile and Hex mesh examples have been fixed. We fixed an incorrect call to a Destroy method in editor time for the Puzzle example. We fixed the warning compile messages, if you spot new ones let us know. We fixed the format of scripts, variables and inspectors fields on all examples. We fixed some UnityEditor cross dependencies in the graph. For Grids 1 some examples had a wrong camera configuration, this has been fixed. Also some Unity Editor dependencies have been resolved.